MediCzech offers a full range of cosmetic and obesity surgery treatments in the Czech Republic. MediCzech provides top quality medical care to foreign clients, including local consultation, pre-operative and post-operative care in the UK for British patients. 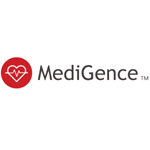 MediGence is a patient-focused medical tourism agency in India dedicated to empowering its patients by helping them find the best medical treatment possible. MediPrima is a medical travel agency located in Istanbul that aims to provide excellent medical and non-medical services to international patients. It is co-founded by a doctor, Enis Bicerer, MD, who is also the co-founder of Centrium Hospital where MediPrima’s procedures take place. 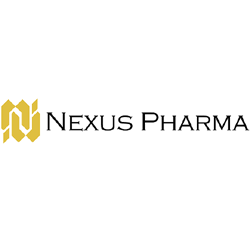 Nexus Pharma in Seoul, South Korea, is a medical travel agency giving you access to the best surgeons and clinics in the country. They specialize in medical screening, cancer treatment and cosmetic surgery and are committed to ensuring that you are satisifed with your care. 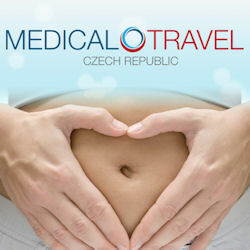 A leading Czech medical tourism facilitator based in Prague. Founded back in 2009, they represent time-tested and highly specialized doctors and clinics. They speak fluent English. Based in Hamburg, Premier Healthcare Germany is an independent medical travel agency devoted to helping people from all over the world to access world class medical care in German hospitals and clinics. Specialising in organising surgical interventions, medical check-ups and rehabilitation programmes, PHG has a particular expertise in orthopaedics, spinal surgery, heart surgery, vascular surgery, obesity surgery and gastroenterology. A personalised approach means that all individual requests and requirements are welcomed, however. Professional Beauty provides high quality cosmetic surgery, dentistry and hair transplant surgery in Poland including facelifts, browlifts, rhinoplasty (nose surgery), ear and eye surgery, laser treatments, tummy-tuck, breast enlargement, breast reduction, breast uplift and liposuction. Composite and porcelain veneers, crowns, dental implants and laser tooth whitening. Professional Beauty also arrange gastric band and gastric bypass surgery in Brussels, Belgium.